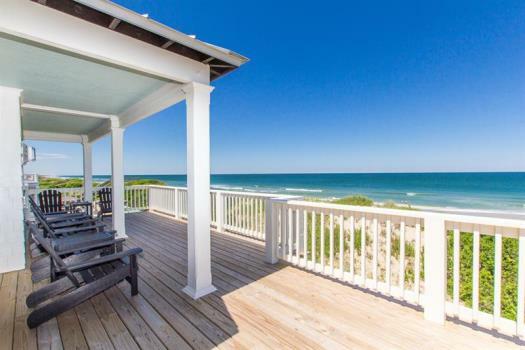 The Outer Banks offers an extensive selection of oceanfront vacation rental homes and condos along the North Carolina coast, and with nearly 400 vacation rentals from Corolla to Nags Head to Hatteras Island, Seaside Vacations has the perfect choice for your next trip to the beach. Whether you are looking for a luxurious 10 bedroom oceanfront estate that boasts plenty of room for everyone in your extended family or a cozy condominium with breathtaking views of the Atlantic Ocean and an assortment of community amenities, you’re sure to find the right oceanfront accommodations for your family here on the Outer Banks. 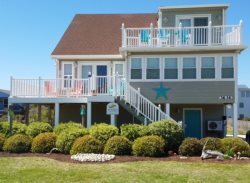 In some of our larger OBX oceanfront rentals, multiple families and groups of friends often vacation together, as many of these homes can comfortably sleep upwards of 30 people. These vacation homes feature unobstructed ocean views, private bedrooms and baths, and are located just steps away from the ocean waves and shell-filled shoreline. Most of our expansive oceanfront homes also offer sought-after amenities including private pools, hot tubs, recreation and theater rooms, and direct beach access. Vacationers travel to the Outer Banks for a multitude of reasons besides the beach, including the opportunity to learn about the area’s rich culture and maritime history, climb one of the four lighthouses that dot the coastline, or to enjoy fresh seafood served by top-notch chefs at one of the area’s locally owned restaurants. Although there’s no shortage of activities and events to enjoy on the Outer Banks year-round, the number one attraction has always been—and likely always will be—our wide stretches of pristine and secluded beaches and the Atlantic Ocean that borders our barrier island paradise. If you are considering a vacation along the coast of North Carolina, consider booking your stay in an Outer Banks oceanfront rental home or condo. You are sure to make incredible memories with family and friends that will last an entire lifetime.